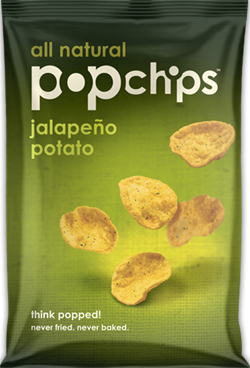 Even for a self-proclaimed snack fanatic, it can be downright embarrassing to eat a bag of fried chips out in public. 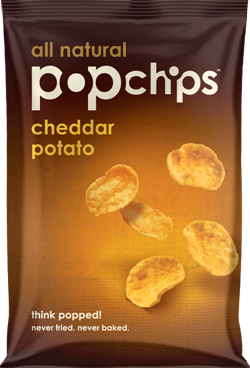 That's what Popchips co-founder, Keith Belling, realized one day as he was trying to sneak his snack at a San Francisco deli counter. 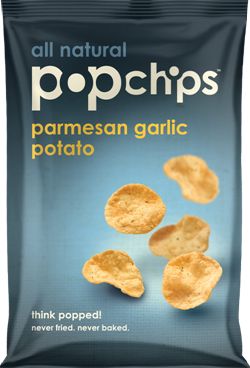 It was not clear whether he was hiding them from himself or friends, but he knew those bland baked chips weren't the answer either. It was almost enough to make him hold out until dinner. Keith, a serial entrepreneur, knew what he had to do. 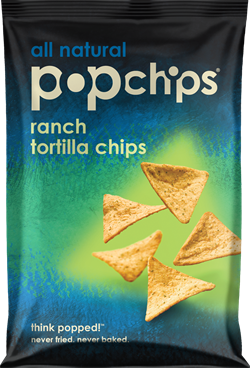 He had to find a chip that was both tasty and healthier (and less embarrassing). He had to put the fun back in snacking. But how? 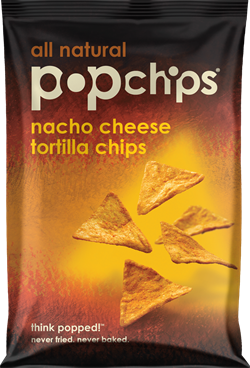 Keith talked with fellow snacker and co-founder, Patrick Turpin, about his mission. Patrick told him about an interesting snack manufacturer. One visit was all it took. They got it. 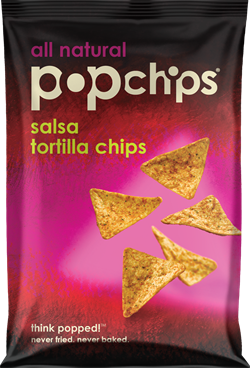 The two snackers had found a way to pop a chip with all the flavor and a lot less of the stuff that gives snacking a bad name. 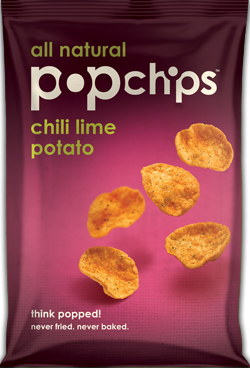 naturally delicious line of popped chips they loved to eat and did not have to hide - a healthy alternative to chips. 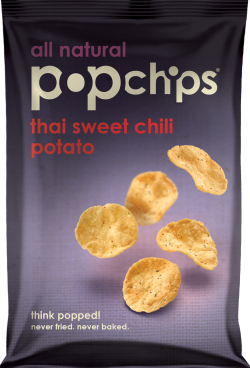 Now they are doing their best to share the potato chips bag with snackers everywhere. 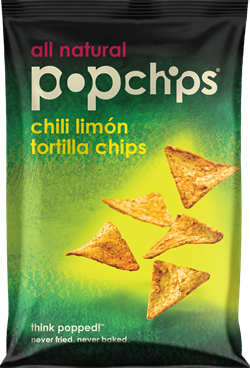 The company have employed pop star as Popchips spokesperson Katy Perry and have launched some great chip flavors, including sea salt and vinegar, sour cream and onion, and tortilla flavors that include chili limon and ranch popchips.